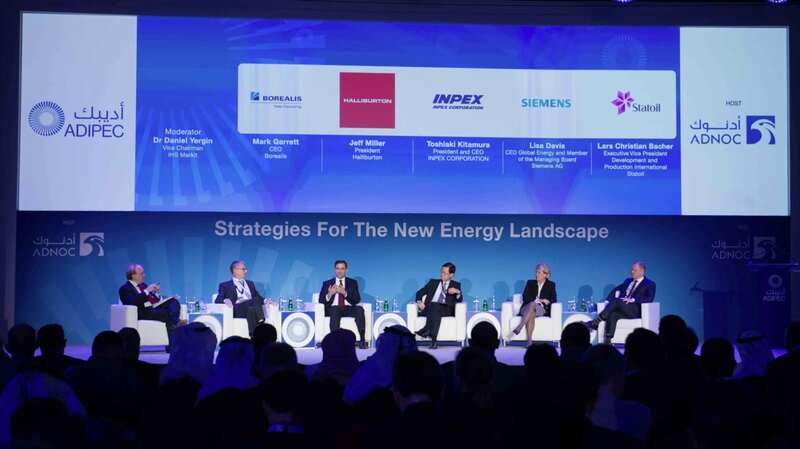 With planning for ADIPEC entering its final weeks, organisers have confirmed the involvement of 13 CEOs for the Global Business Leader panels and are in talks with many more across the global industry. A further nine CEOs have been confirmed for the Downstream Global Business Leader programme. Beyond the conference programme, CEOs convene at ADIPEC to do business and sign deals, offering conference delegates an opportunity not only to learn from the best, but also to grow their business and find new opportunities. Their individual perspectives include experience at some of the world’s largest vertically integrated oil and gas companies, including two of the industry ‘supermajors’, operating across a diverse range of international markets, both in terms of exploration and production, and in terms of sales. They will be joined by the heads of three of the biggest international suppliers of oilfield services: David Dickson, President and Chief Executive Officer at McDermott; Mark McCollum, CEO at Weatherford, and Lorenzo Simonelli, President and CEO at Baker Hughes, a GE company. More than 10,000 delegates, 2,200 exhibiting companies, 900 speakers, and in excess of 100,000 visitors, from 135 countries, are projected to gather in Abu Dhabi for ADIPEC 2017.